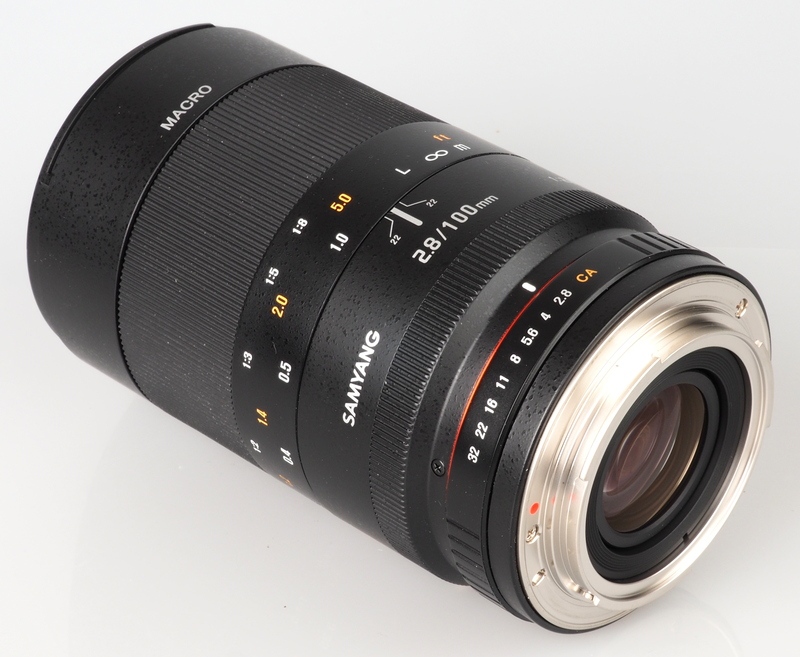 Gary Wolstenholme gets up close with the Samyang 100mm f/2.8 ED UMC manual focus telephoto macro lens. This 100mm manual focus telephoto macro lens, offers a fast f/2.8 maximum and life-size magnification at its closest focus distance. This lens is available to fit many different types of cameras, including Canon, Nikon, Pentax, Sony, Sony E-mount, Four Thirds, Micro Four Thirds, Fujifilm X-series and Samsung NX series. In this review we'll take a look at how it performs. High quality plastics with a lightly textured finish and metal have been used for much of the lens barrel, with a metallic red ring placed just after the aperture ring, which signifies that this is one of Samyang's premium lenses. This lens isn’t overly heavy, or particularly lightweight at 720g for the Canon version. 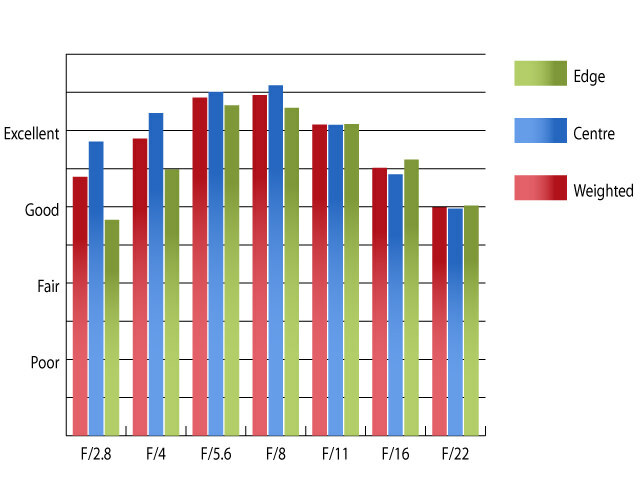 As a result, it balances well with the Canon EOS 6D camera body used for testing. The focus ring is a pleasure to use, with it having a very smooth action and just the right amount of resistance for applying fine focus adjustments, which is especially important with a macro lens. Closest focus is 30cm, which provides life-size magnification. 67mm filters can be used with this lens and as the filter thread doesn’t rotate it is ideal for use with graduated and polarising filters. A deep circular hood also comes supplied with this lens as standard. This lens has no electronic coupling with the camera, so stop down metering has to be used with the Canon camera used for testing. The camera reverts to centre-weighted metering and some automation is available in Aperture Priority mode. As this particular model of Canon camera does not give focus confirmation in the viewfinder when used with a lens with no electrical contacts, live view is the best way to ensure accurate focus. Other cameras, such as many of Nikon's high-end bodies have an electronic rangefinder, or focus peaking on the live view display, which makes focus confirmation easier. 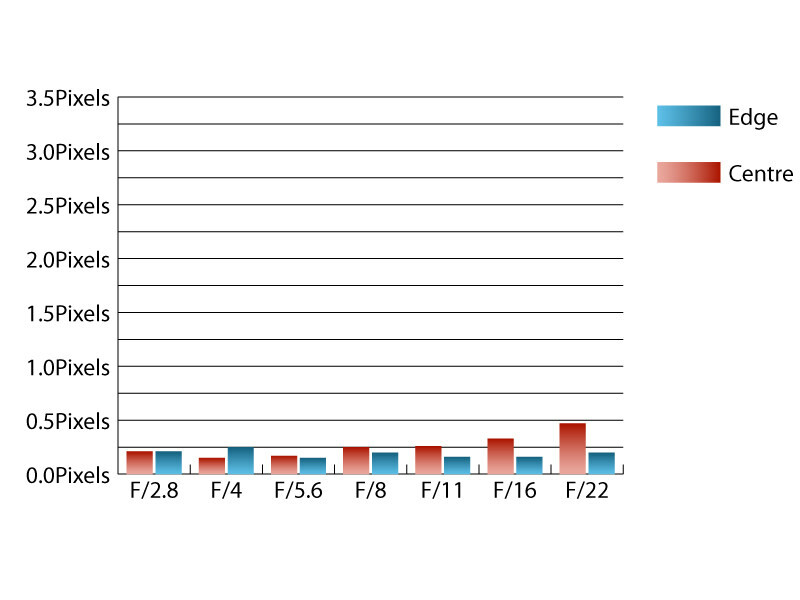 Focus distances are marked on the lens barrel, but a useful hyperfocal scale is sadly absent. The only depth of field markings on the lens barrel are for f/22. The aperture ring has each full stop marked and an intermediate click stop in between each value. At f/2.8, sharpness in the centre of the frame is very good, and towards the edges of the frame, performance falls just shy of good levels. Stopping down improves clarity, with peak performance being realised between f/5.6 and f/8. Here sharpness is outstanding in the centre and excellent towards the edges of the frame. Chromatic aberrations are kept well under control, remaining under a quarter of a pixel width in size at most aperture settings. These low levels of fringing should be difficult to spot, even in very large prints, or harsh crops from the edges of the frame. Falloff of illumination towards the corners is typical for a lens of this type. The corners are 1.8 stops darker than the image centre at f/2.8 and visually uniform illumination isn't achieved until the aperture is stopped down to f/5.6 or beyond. Imatest could only detect 0.3% pincushion distortion, which is low enough that it should very rarely need correction in image editing software afterwards as it is barely noticeable. This lens is quite resistant to flare as the UMC multicoating applied to optical surfaces do a good job of keeping this under control, as does the supplied circular hood. However, contrast can be noticeably reduced when shooting into the light at maximum aperture. Samyang have built up a reputation of offering basic, but decent quality lenses at very attractive prices. With a price of £370, this lens seem a little pricey for a manual-focus lens from a third-party manufacturer. For comparison, Tamron’s 90mm f/2.8 Macro lens, which has a fantastic reputation and offer autofocus is actually £90 cheaper, costing around £280. 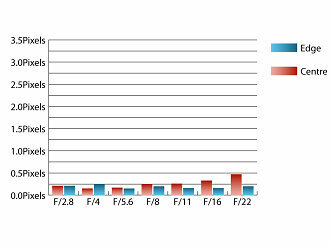 In fact, Tamron’s 90mm f/2.8 VC lens with autofocus and Vibration Compensation costs around the same amount as this lens. 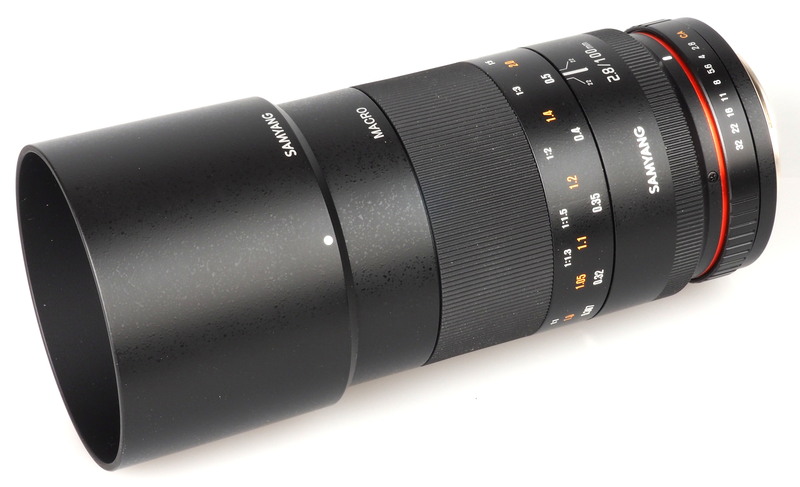 Sigma’s 105mm macro lens with autofocus and optical stabilisation is also less expensive, costing around £360. 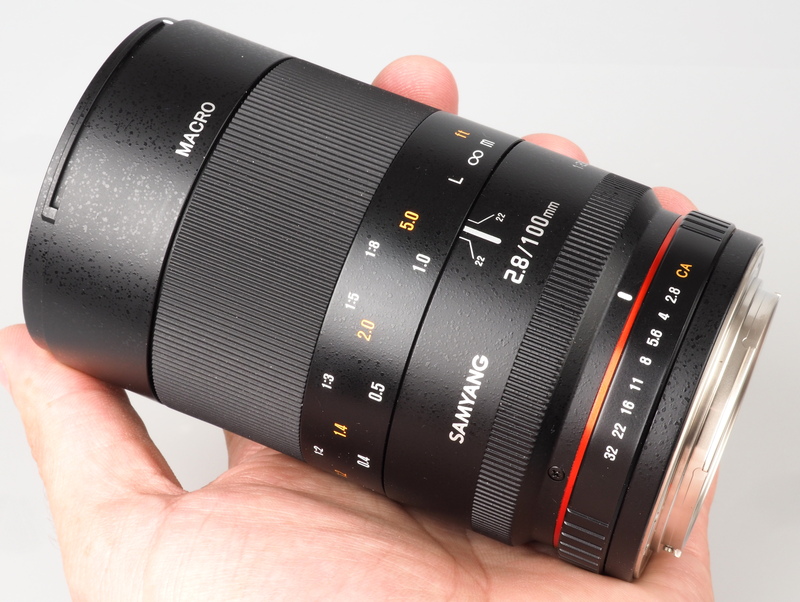 For more options have a look at the Top 10 Best Samyang Lenses of 2015. 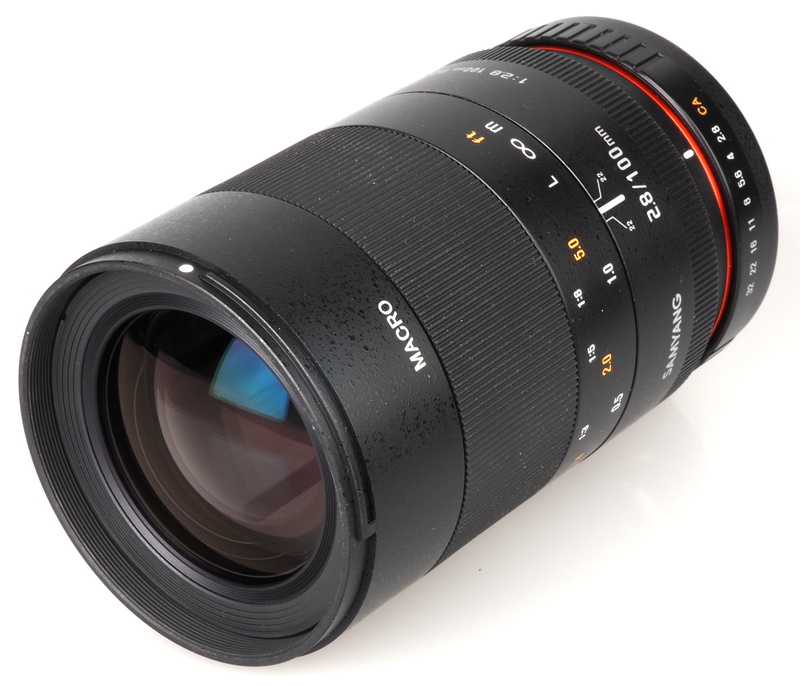 Taking the excellent performance of this lens into account, it seems a shame that this lens is priced as it is. Having so many alternatives available that have an excellent reputation for the image quality they can deliver with autofocus and in some cases, optical stabilisation available, for less money, it makes the case for purchasing this lens a difficult one to put across.